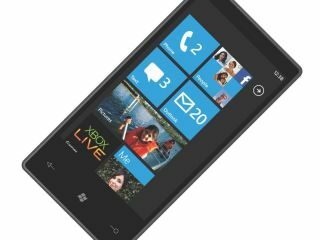 Microsoft is set to unleash two new Windows Phone 7 updates in the New Year, with more phone functionality to be announced at Mobile World Conference. CEO Steve Ballmer is expected to take the stage at CES 2011 in Las Vegas in January to show off new WP7 functionality, which includes the ability to cut and paste. Ballmer is now also set to show off another major update in February at Mobile World Congress. Although it hasn't been confirmed by Microsoft, WinRumors is reporting that sources close to the matter have taken a sneak peak at what is being touted in the new update – via APIs – and it is set to include in-app downloads, better multi-tasking and more customisation. It's Brian Keller, senior technical evangelist bod for Microsoft, who has dropped the biggest hint about a bigger update at MWC, saying in a recent interview: "I think we are saving [Silverlight on Windows Phone 7], for say another event. If only there was a massive event in Barcelona on mobile phones and or other events in the future."